I just love this awesome lint brush from Furzie. 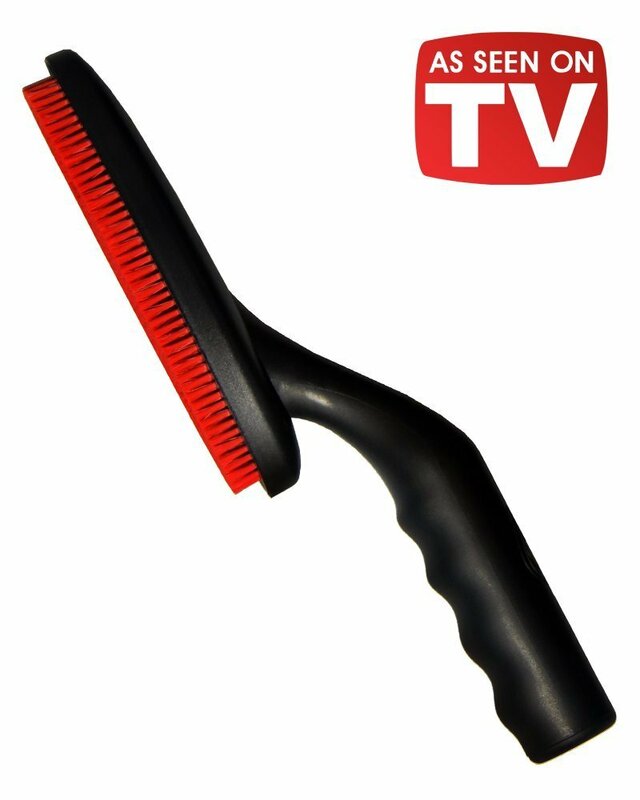 It has a bunch of soft bristles that really help to grab animal fur and particles. This is a great brush that really helps to rid your clothing and furniture from lint and animal hair. I love the handle on this, it is perfect for gripping and holding. It even has some indents on the handle for your fingers to rest comfortably. We have four dogs in our house so it seems like there is dog hair everywhere no matter how much I clean it seems to be everywhere. So I love this brush, I use it on clothing and furniture pretty much on a daily basis. You can simply slide the brush over the area you want to remove lint and hair from and it’s gone. Another thing I love about this brush is that you don’t have to replace the head at all, it’s a brush so none of that sticky lint brush anymore. It’s good forever. If you feel like it needs cleaned I just run mine under some water and let it air dry. Super easy to use! The Original Furzie – The Original Furzie with 60% Off only on Amazon.com for your Convenience. Buy Now you won’t be more pleased with your purchase of this Amazing Lint and Pet Hair Remover. AS Seen on TV. No More Hair On Your Floor or Sweaters. Avoid the Hairballs in Your Car and on Your Furniture. Save Money No Refills Required Just Rinse and Use. Bullet Proof Strong, Handle that WON’T break. Try Our Un-BREAKABLE GUARANTEE. With The Furzie we Offer a 100% Unconditional Money Back Guarantee. Cat Hair Gone.. Dog Hair No Problem. Lint Galore. Consider it Done. No More Lint or Hair. Limited Time Offer. Act Fast While Supplies Last. Includes 1 Year Warranty and 100% Manufacturer Money Back Guarantee. The Only Thing You Have to Lose is Lint and Hair on Your Clothes and Furniture.